Long overlooked as a boring London enclave for foreign billionaires, with private security guards patrolling its stuccoed squares, Belgravia is trying to shed its lights-out reputation. In the wake of its reinvention of Mount Street, in Mayfair, and Marylebone High Street, the Grosvenor Estate is embarking on improvements to make the place feel villagey — and even a little bit cool. There’s Eccleston Yards, a new hub for creatives and entrepreneurs: earlier this month, it played host to Paradise Now, a hot-pink public art installation and immersive outdoor spa. Pantechnicon, an 1830 Greek-revival building, will be a five-floor emporium of fashion, food and drink when it opens next spring. It’s on Motcomb Street, which has been pedestrianised, cobbled and curated: highlights include an Ottolenghi bakery-cafe, Christian Louboutin and what must be the fanciest Waitrose in the capital. The southern hub, Elizabeth Street, has been similarly beautified. 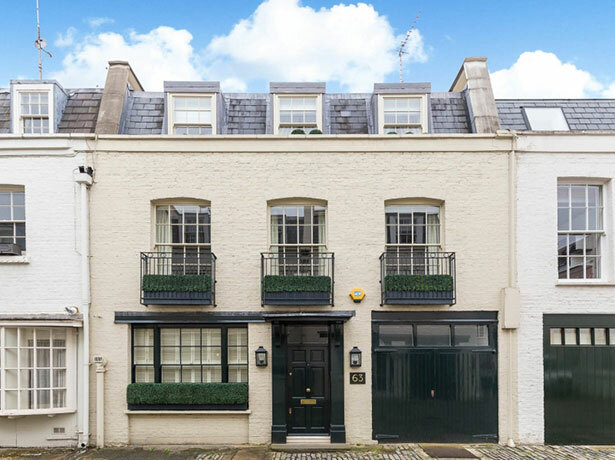 With the market in prime central London sluggish, Belgravia is cheaper than it was at its 2014 peak: prices have fallen by 15%, with demand down 12.5% in a year, according to the online forecasting tool PropCast.